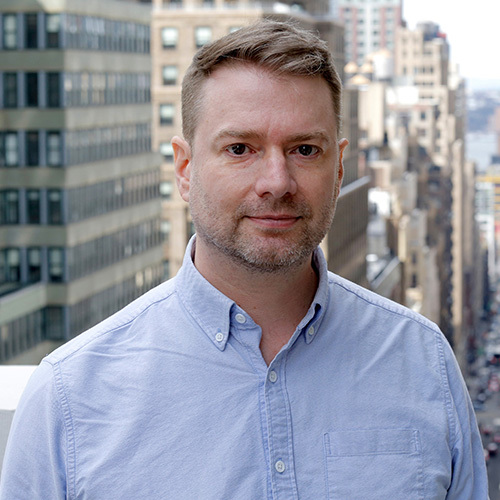 Gordon Meyer has spent more than 20 years working with marketing companies and advertisers including SiriusXM, J. Walter Thompson and Razorfish. In 2018, he co-founded an agency, EngineBloc, with fellow Razorfish veteran Leen Al-Bassam, serving technology-oriented brands. Next Reality News listed Meyer in 2018 on its list 30 People to Watch in Augmented Reality, and think tank Brand Innovators named him in 2015 to its list Top 40 under 40 Brand Marketers. Meyer teaches at Columbia College in Chicago and has appeared on NPR’s “All Tech Considered” and in publications including Forbes, CMO.com, The Chicago Tribune and Inc. Meyer sits on the Board of Advisors for BWG Strategy, an invite-only network for senior executives across technology, media and telecom, and on the Board of Directors of a soup kitchen and homeless shelter.